The new BikePT Class schedule has been posted, with two additional Mechanics course classes added. 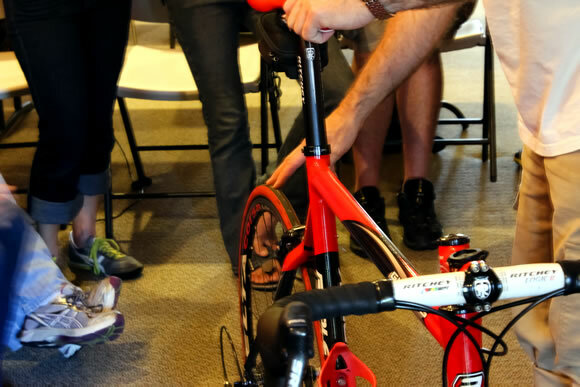 The Mechanics course provides more in-depth learning, enabling you to more knowledgeably perform component and equipment changes with your patients and their bikes. Check out the full BikePT classes schedule here. BikePT Courses are a set of well-rounded, complete bike fitting classes for professional Physical Therapists. Our classes are the fastest and most comprehensive way to learn about the critical relationship between bike and rider biomechanics. Attending our Bronze, Silver, and Gold classes will forge you into an expert bike fitter. Additionally, the Mechanics class will provide a deeper understanding of the bicycle, so you can intuitively make equipment changes to your patients’ bicycles. All BikePT classes are taught by our own certified instructors, experienced Physical Therapists with professional backgrounds in bicycle racing. Sign up for our 2017 series of classes, now online. Reserve your spot today.